Rehabilitation is important for patients with stroke to regain functionality. The impact of stroke can be devastating, with survivors experiencing physical disability manifesting in several domains including paralysis, problems with balance or coordination, and speech defect. Less obvious is the impact of stroke on cognition, memory, attention, and depression. Rehabilitation of patients following stroke is important for regaining functionality. In most cases, however, rehabilitation focuses on addressing the physical and communication deficits frequently resulting from stroke, with significant improvement.6,8 While cognitive and emotional deficits are known to be evident poststroke, the true impact of these deficits on the patient is unknown; therefore, rehabilitation of cognitive and mood impairment following stroke has received less attention. Yet, physicians are tasked with providing care for stroke patients and must assess the physical as well as the cognitive and mood deficits in order to determine optimal treatment and support. Variations in the sensitivity and specificity of the various assessment tools and, in some cases, their inappropriate use for assessing cognitive and mood decline after a stroke challenges the early and accurate identification of cognitive and mood problems. Progress is, however, being made. Evidence-based psychological interventions to improve cognitive function after a stroke are being investigated.6 Based on the current evidence, the recommendation is for a more comprehensive neuropsychological assessment that goes beyond screening for the cognitive deficit, and with long-term monitoring of stroke patients, including informing the patient that cognitive symptoms may manifest even if they are not evident immediately following the stroke. 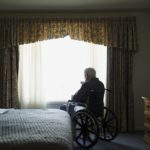 Consequently, neuropsychological assessments are increasingly transitioning from a subjective to an evidence-based standardized stroke assessment that includes assessing cognition and mood in the pre-stroke state, screening for delirium, and integrating cognitive and mood testing with an assessment of function. Physicians will therefore be required to select the screening tool that is appropriate to the domain being tested and to defer a diagnosis of dementia for at least 6 months after the stroke event.7 The ultimate goal is to enable physicians to make decisions for initiation of treatment and rehabilitation that is individualized and appropriate to the patient’s needs, thereby improving patient outcomes. Benjamin EJ, Blaha MJ, Chiuve SE, et al; on behalf of the American Heart Association Statistics Committee and Stroke Statistics Subcommittee. Heart disease and stroke statistics—2017 update: a report from the American Heart Association. Circulation. 2017;135:e229-e445. Ovbiagele B, Nguyen-Huynh MN. Stroke epidemiology: advancing our understanding of disease mechanism and therapy. Neurotherapeutics. 2011;8(3):319-329. Yang Q, Tong X, Schieb L, et al. Vital signs: Recent trends in stroke death rates – United States, 2000-2015. Morb Mortal Weekly Rep. 2017;66. Nakling AE, Aarsland D, Næss H, et al. Cognitive deficits in chronic stroke patients: neuropsychological assessment, depression, and self-reports. Dement Geriatr Cogn Dis Extra. 2017;7(2):283-296. Douven E, Aalten P, Staals J, et al. Co-occurrence of depressive symptoms and executive dysfunction after stroke: associations with brain pathology and prognosis. J Neurol Neurosurg Psychiatry. 2018: jnnp-2017-317548. Merriman NA, Sexton E, Donnelly NA, et al. Managing cognitive impairment following stroke: protocol for a systematic review of non-randomised controlled studies of psychological interventions. BMJ Open. 2018;8(1):e019001. Quinn TJ, Elliott E, Langhorne P. Cognitive and mood assessment tools for use in stroke. Stroke. 2018;49(2):483-490. Mayo Clinic. Stroke rehabilitation: what to expect as you recover. Published online May 24, 2017. Available at: https://www.mayoclinic.org/diseases-conditions/stroke/in-depth/stroke-rehabilitation/art-20045172. Accessed March 20, 2018.